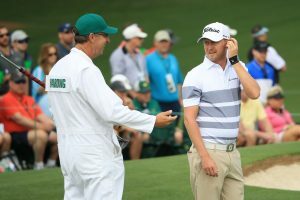 Augusta, April 13: Justin Harding and Kiradech Aphibarnarat held their own on a dramatic day when five players shared the 36-hole Masters lead but more than them it was a lurking Tiger Woods who made the news on Friday at the Augusta National. Harding at six-under was T-6th and Kiradech at three-under was T-16th. The five who shared the lead were overnight co-leader Brooks Koepka (71), Open winner Francesco Molinari (67), 2015 PGA winner Jason Day (67), 2013 Masters champion Adam Scott (68) and the 2010 Open winner Louis Oosthuizen (66). They were all at seven-under with Woods and three others at six-under. 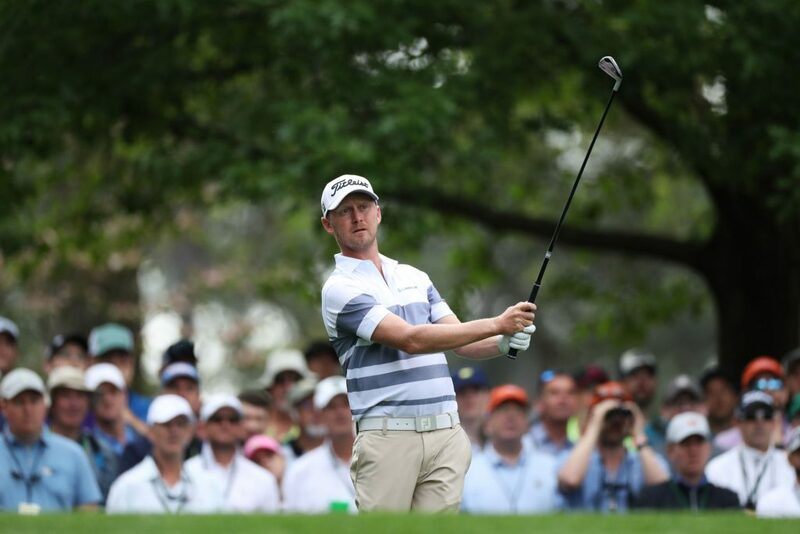 Amidst this drama of an overcrowded leaderboard, was Harding, the field’s oldest Masters debutant, who was sharing the sixth place with World No. 1 Dustin Johnson, Xander Schauffele (65) and Woods at six-under. But for Harding’s bogey on the 18th for the second day running, he may well have been in shared lead. Each of the five players in the lead has at least one Major against their name, but in the group tied sixth is Woods, who has 14 Majors, while Johnson has one and Schauffele and Harding have none. 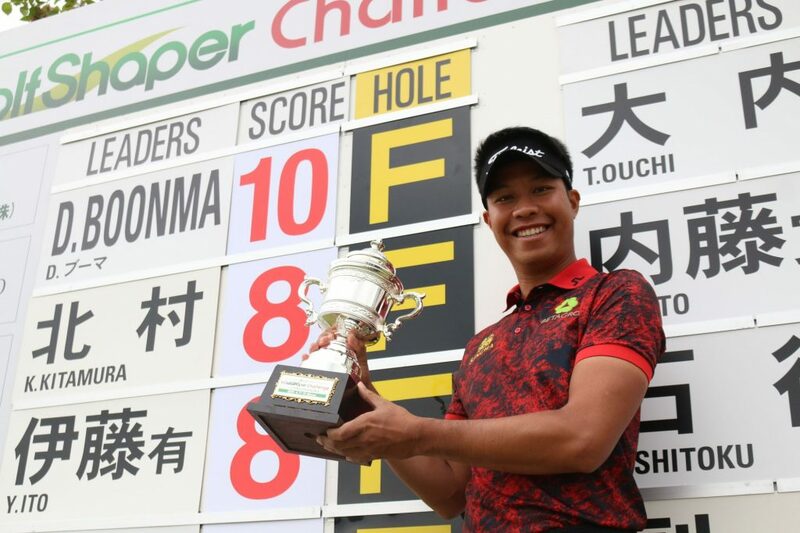 There may be just two players here from the Asian Tour, but they have played well enough to make everyone sit up and take notice. 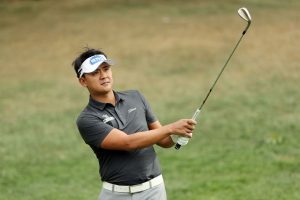 Harding, 33, and the oldest rookie in this year’s Masters field, who earned his maiden Masters call-up barely two weeks before the door was shut, and the burly Kiradech, 29, who is hoping to make his third Masters appearance count, are lying Tied-6th and T-16th respectively. Harding, who for a while shared the lead with three others Molinari (67), Day (67) and Koepka (71) at seven-under had a chance to stay there despite missing the green in regulation. His third shot came within five feet but he missed the putt and bogeyed for the second day in succession. Virtually unnoticed for the first 11 holes, which had one bogey, no birdies and 10 pars, Harding had slipped to two-under. Then he went on a rampage from 12th to 15th with four birdies in a row and added a fifth on 17th to rocket up to shared lead at seven-under and then came the bogey on 18th. Kiradech, who admits being hurt by the first round 79 last year, has ensured he does not get hurt played a par round with three birdies and three bogeys. He said, “I’m happy with the result and even par on this golf course is not easy at all. Woods, who has not won a Major for 11 years, last won a Green Jacket in 2005 and his last Major came in 2008. 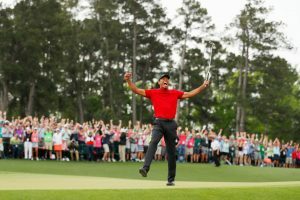 The intervening years have seen personal problems, four surgeries, injuries, loss of form and confidence, but now he is on the threshold of an epic win at a stage, which he seems to own. Woods’ biggest worry was when he seemed to collide with an official on 14th and could have hurt his ankle. 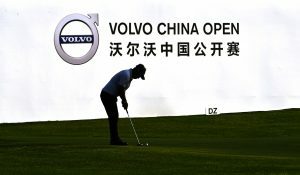 Day and Molinari had superb rounds of 67 each, while overnight co-leader Koepka overcame a nightmarish stretch between second and sixth where he dropped a double bogey and two bogeys. Koepka grinded it out well in the remainder of the round and finished with a birdie for 71 and still kept a share of the lead. Day had a scare even before he hit his first shot on Thursday as he seemed to have injured his back as he picked up his daughter before going for his first round. He hung in; needed mid-round attention for his back but shot two-under 70. To that he added a brilliant 67 with six birdies and one bogey to get to seven-under. Day summed up a simple strategy saying, “The goal is to try and take advantage of the par 5s here this week. You know, the par 3s can be difficult at times and then some of the par 4s, you need to get through. The Augusta National has never really brought out the best in Molinari, who first saw it while caddying for his brother, Edoardo in 2006. A T-19 in 2012 has been the best and has broken 70 only once in 24 previous rounds and his 67 on Friday was his career best at Augusta. Bogey free for the day, the 2018 Open winner, Molinari, birdied third, eighth, ninth, 12th and 15th and then saved himself from a possible dropped shot on the 18th. Right behind the trio at seven-under was World No. 1 Dustin Johnson, whose amazing play at the 13th was probably the moment of the day. Johnson, who opened with a bogey, parred next eight and missed a few birdie enroute, but also saved some. On the back nine, had three birdies, of which the one on 13th was a spectacular display of positivity and luck. His second shot got caught in the wind and dropped and dribbled into Rae’s Creek, forcing him to take his fourth shot. He hit it so perfect that he holed it for a birdie.